The recent resignation of nearly the entire National Park System (NPS) Advisory Board raises serious concerns about the Department of the Interior, the office in charge of overseeing about 500 million acres of our national public lands. 10 out of 12 NPS advisory board members quit, citing their frustration that Secretary of the Interior Ryan Zinke refused to hold a single meeting with them. In this case, where there’s smoke, we believe there’s fire. All signs point to the Public Lands Heist, a movement to undermine federal lands in favor of privatization and extractive industries. The NPS advisory board resignations are the latest in what many fear is a rapidly emerging anti-park agenda from the current administration: Secretary Zinke is yet to nominate a NPS director, and the Department of Interior announced they would nearly triple entrance fees at many national parks – a move that would deter public access, while failing to make a dent in the parks’ maintenance backlog. Most recently, the Interior failed to provide clear guidance on how the government shutdown would affect national parks. 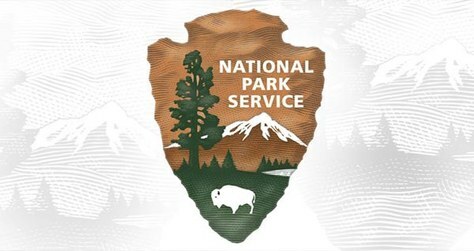 First established in 1935, the NPS advisory board is tasked with providing guidance to the National Park Service and the Secretary of the Interior. Without an NPS advisory board, the federal government can’t designate new national historic or natural landmarks. In addition to the NPS, the Department of the Interior oversees eight other agencies such as the Bureau of Land Management (BLM)and the U.S. Fish and Wildlife Service. Other agency boards are facing similar freeze-outs. Scot Braden, a member of the Bureau of Land Management Rocky Mountain resource advisory council, said his panel has been unable to meet for over a year. “Secretary Zinke has said that local input is important for BLM to consider, and yet these councils, which provide just such input, have been sidelined,” he said. Zinke disbanded the Advisory Committee on Climate Change and Natural Resource Science altogether. While advisory panels are left on the back burner, Secretary Zinke has stayed busy, slashing two national monuments and targeting places like the Arctic National Wildlife Refuge for oil and gas drilling. There have been numerous bills and executive actions towards this end, one of the most recent being the inclusion of drilling in the Arctic National Wildlife Refuge in the Tax Bill that passed in late December. The tax bill calls for two lease sales within ten years, effectively making it illegal not to explore drilling in there. This Newsweek piece explores some of the complexity of this issue. With many agency positions still vacant, the recreation and conservation community simply does not have contacts to work with at these agencies, or we are working with staff who are responsible for numerous jobs. This makes partnering with our land managers increasingly difficult, from Forest Service districts to national policy. The recent National Park Service proposal to drastically increase entrance fees is dramatic example of this approach. Mountaineers CEO Tom Vogl joined other outdoor recreation and conservation leaders with Senator Maria Cantwell to voice our concerns on this proposal. We could see a decision on this proposal as early as this month. This New York Times piece outlines the 60 environmental rules that the administration reversed in 2017. A significant number directly affect public lands, from rules affecting our National Parks and National Monuments and an important planning rule that would have advanced public input on BLM lands. Keep an eye out for more signs of the Public Lands Heist in 2018. And let’s work together to keep public lands in public hands!